From the 1995 Wa-Hi-Nasa Lodge Planbook, note that Heart of Tennessee District and Two Rivers District have disappeared. They have been replaced by Trail of Tears District. Elk River and Davy Crockett also added counties in that shuffle. 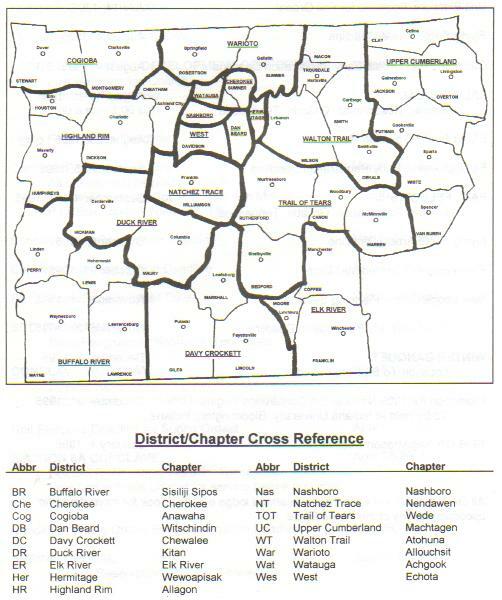 Hickman County has moved from Natchez Trace District to Duck River District. 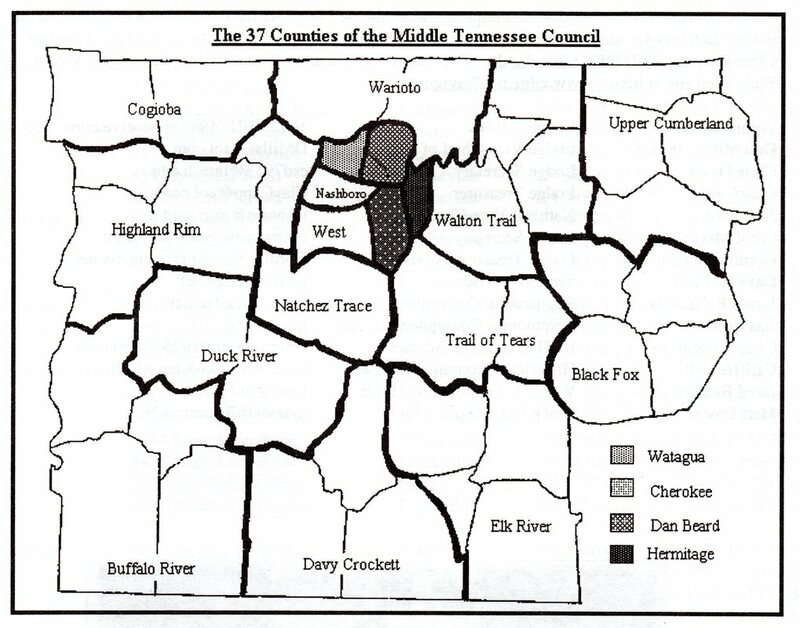 Two Rivers disbanded in 1987 and Trail of Tears was formed in 1988. So there is that one year period during which the district geography is unknown. The below map shows the district geography in the 3 year stint between Black Fox District's return and Watauga District's dissolution.